Screenprinted onto high-quality 100% semi-combed ringspun cotton (Fair Wear). Say what? 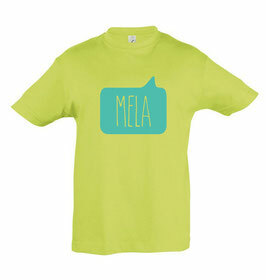 “Mela” might just be the most popular Maltese phrase you'll hear locals and new-arrivals utter. Its grammatical function is transitional in character, and so is childhood … yes, our designs are just that deep.